Accident reports continue to come in to emergency crews at a rate faster than we can report them. 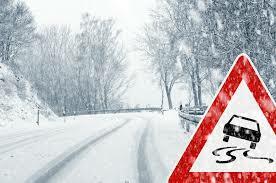 Please exercise extreme caution today and stay off roads as much as possible. 3151 Old U.S. Highway 60 and New U.S. Highway 60. Accidents are expected to continue being reported throughout the day because of icy weather conditions. Travel is strongly discouraged on all roads around Ponca City.